What is Laser Lipo Plus? The Ultimate Marriage of Science and Beauty. 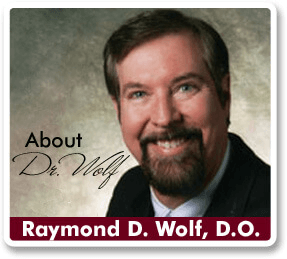 Dr. Wolf’s Rejuvenation Center has been a leader in providing advanced outpatient cosmetic surgery procedures. We’re now providing an exciting new approach to liposuction which we have named Laser Lipo Plus. With classical tumescent liposuction, as taught by Jeffrey Klein M.D., small liposuction cannulas are utilized to remove fat using totally local anesthesia. It is common place with this procedure that cannulas are utilized to remove the fat directly underneath the skin (dermis) in order to stimulate better skin retraction. A major advance in liposuction surgery was the introduction of the Blugerman cannula. This cannula has raised projections, much like a cheese grater, around the circumference of the cannulas end. This device more aggressively stimulates skin retraction leading to a smoother postoperative result. It is also useful in treating cellulite as well as treating asymmetries which may result after liposuction. In recent years there has been an emphasis on laser techniques which are utilized to tighten the skin. One of the concepts is fractional resurfacing. In this procedure tiny holes produced by a laser penetrate the dermis producing an injury which leads to skin retraction. In the neck area even these advanced techniques can lead to scarring. The MTS roller device was developed as a mechanical means of stimulating dermal remodeling and producing skin tightening, without the risk of laser induced thermal damage. Instead of providing a laser thermal injury, multiple fine needles produce a micro-injury to the dermis. The procedure combines tumescent anesthesia techniques, laser application to subdermal fat and deep dermis, classic small cannula liposuction, Blugerman fat disruption and subdermal stimulation, and finally the application of the MTS roller device to stimulate superficial dermal contraction. We are not aware of any other practice that provides this combination of advanced cosmetic surgery intervention. A specially designed camera measures the temperature of the skin and allows the cosmetic physician to avoid elevating temperatures above 42°C. This is the temperature above which laser can damage the superficial layers of skin. We invite you to experience the advantages of Laser Lipo Plus!